Your credit cards and ID's will also fit in the black pocket. The belt also has 4 elastic straps which are great for hanging other things - keys, race bibs, gel packs. 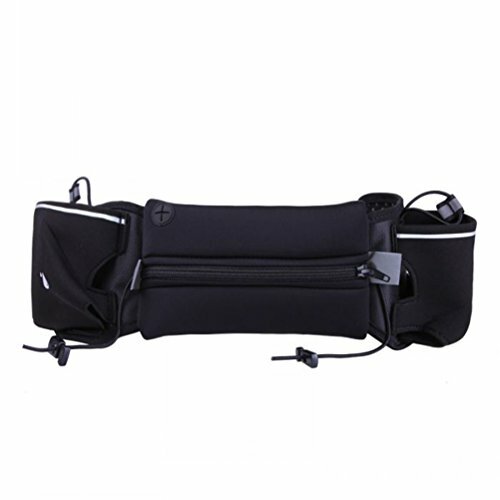 Great as hiking belts /waist pack. Carry your entertainment while running. Attach your headphones to listen to music so you enjoy your runs. Size: About 88 * 10 * 3 cm/ 34.6 * 3.94 * 1.18 inch(L*W*H).